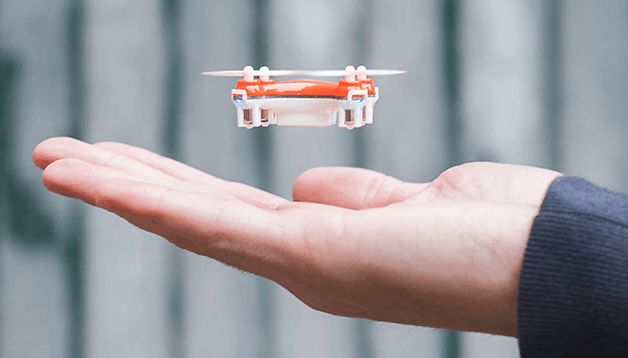 In today's AndroidPIT deal, you can grab a SKEYE nano drone - the world’s smallest precision-controlled quadcopter - for a massive 41 percent off. Read on to learn more about this great offer. The SKEYE nano drone is an agile and tiny flying machine, perfect for airborne stunts (like figure 8s, banking turns and flips) for both indoors and out. The Nano Drone provides high thrust, low weight and has responsive controls. This cool gadget costs only $34.99, down from a regular price of $60 - nabbing you a 41 percent saving. Head right here to get your SKEYE nano drone through the AndroidPIT deals store. Check out our other AndroidPIT deals, and let us know in the comments below what else you'd like to see. Have bought one from this deal. It flies really cool and accurat. Feels solid and doesnot damage easy.